Since most Americans move between May and September, this week we are sharing how to retain your residents this summer! Often times, only small tweaks are needed to make a BIG retention impact. Note: all designs and resources shown in this article are part of the Sprout Seedling Membership. Become a member here! There is no secret formula for renewal conversations, but this is how we broke it down: It takes a little confidence, a lot of brand equity and some EXTRA. Brand Equity: the promises that we make to our residents, minus the promises we keep. Every time we keep a promise, we build trust. Every time we fail, it comes out of our equity bank. It makes renewal conversations so much easier when they trust what we say! Imagine coming home to these at your door, instead of a rigid corporate letter! If they've been with you a year, it's worth it to invest this much in another year. We work so hard, we spend a lot of money, time, and effort and then only a few residents show up. What are some resident events that people actually want to attend? Let's get a little into the psychology of events. There is currently a loneliness epidemic! That's right, people are isolated and then you couple that with a lack of interaction due to social media, and they are likely to skip social situations. So the solution is to start small and get them comfy. How? Make these re-occurring events easy and stress-free. None of the below events are intrusive and it gets your residents comfortable seeing you and your team in a good way. Bonus points if your event also helps them reach a personal goal. Your secret social tool: pets! Pets bring people together in a special way, after all, pet events make small talk easy. Anyone can ask what a dog's name is and owners love talking about their fur babies! Disclaimer: Event though these smaller, pop-up events might not be "official" events, your staff still needs to be on the ball to interact and carry the event theme. Don't forget to make things social! Get the event pics, encourage residents to use a community hashtag and then re-use (re-post) those pics! Why post them once when you can use this social gold again and again? Also, be sure to poll your residents: do they like Facebook or Instagram better? Events that make your residents' lives easier. Think Breakfast-on-the-Go! Grab-and-go breakfasts might be the easiest way to make your residents' lives easier. This classic doesn't go out of style. Consider doing it once a month and don't be afraid to change things up. See what works and then repeat! Muffins for the win! Events that feel like a staycation. Make your community feel like a vacation. If it feels like something from a vacation you're slowly building up that cool factor. Take some extra time on the invites and signs to make it appealing. Memorable events will be just that: remembered! So do something to make the kids' summer or bring your adult residents back to their childhood. Bottom line: the small events help you work up to the bigger events. If a resident gets comfortable with the staff and other residents in small and regular ways, you're going to get a better attendance at the larger events. In a nut shell, you need to be using welcome notices. First impressions are SO important. Make it fun and make it personal: add their name, add your name. This is a one-time opportunity to set up this relationship for success. So don't neglect this ohhh-so-important thing. Connect with them from the beginning and build that solid renewal foundation. 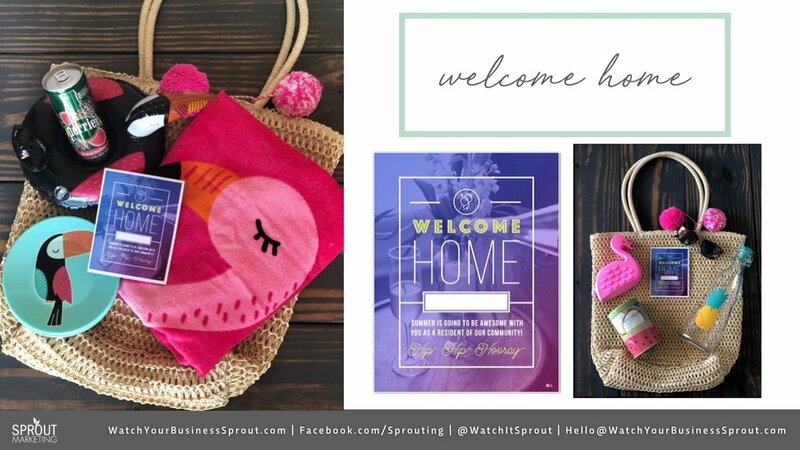 Check out these fun summer welcome home packs. If you have the budget, have some fun with it! Small things make a big impact. When you have time, look at your notices that you send to your residents: rent reminders, pet pickup notices... What is the wording? How does it make them FEEL? Every detail speaks. What is it saying? Pro tip: Invest in some shadow boxes to display your notices. These really elevate the appearance and you can use them all year-round. "I don't poop flowers!" Fun taglines go a long way. Not only do they bring attention to important matters, they also come across in a friendly or witty way (build that brand!). 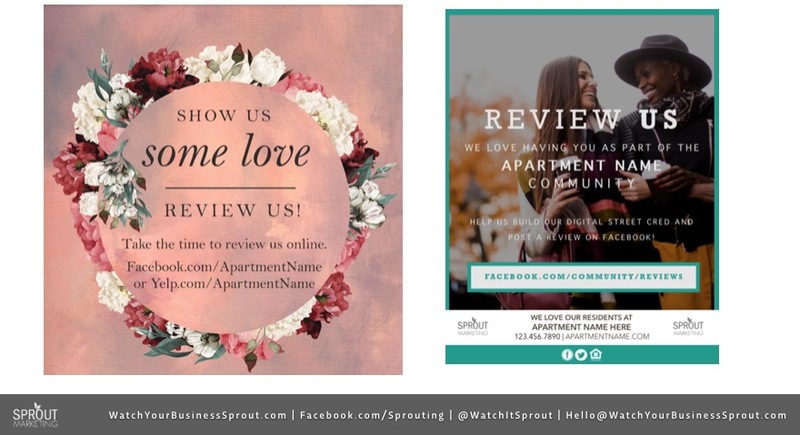 You can even implement these taglines into your newsletters and resident portals. Even when someone is late on rent- look at your wording! We all get busy! THIS IS JUST A SNIPPET FROM OUR "WHAT I WISH I KNEW ABOUT MARKETING AND RETENTION WHEN I WAS A MANAGER" WEBINAR. MEMBERS: CLICK HERE AFTER JULY 2 TO SEE IT. 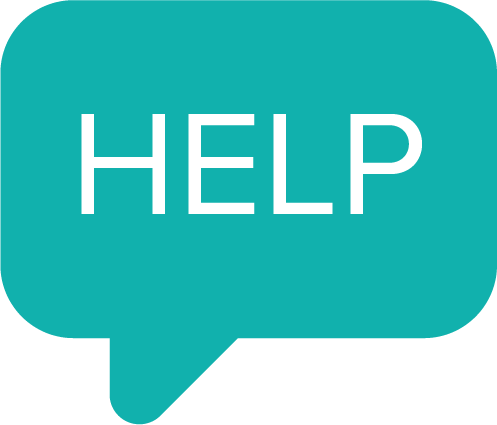 NON-MEMBERS: REQUEST THE RECORDING HERE. Become a Sprout Member Here! Yes, I'd like to access 250+ Instant Downloads Per Month. Sign me up!